Foursquare to find new places, Swarm for friends but what about my favorites and to-do? This is where Location Notifier is born. Last year, Prague announced places where public drinking is forbidden. I immediately asked a question "How do I know I'm around such a place?". There are plenty of applications that can help you organize places and get notifications when you are around, cool...but, what - organize them myself? WTF?! There is Foursquare. Great service that helps people find new interesting places. It also allows users to create new places as they grow in the town and to organize the places in lists. There is geofencing in every Android device, it allows developers to get notification when the device in around some place but it doesn't drain the battery. 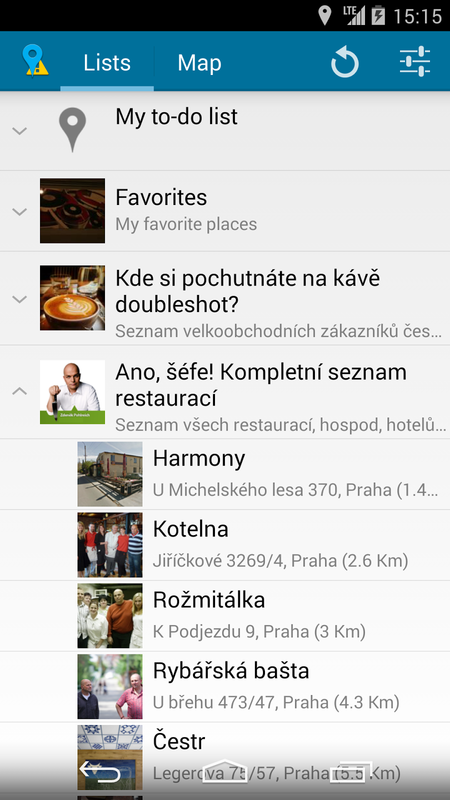 Let's take Foursquare lists and get instant notification when you are around any venue. You will never miss a venue from your to-do list. 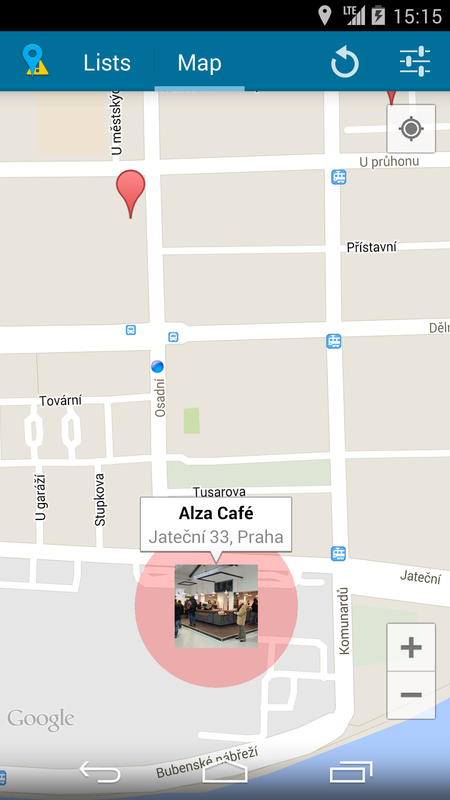 It took few days to create working prototype and one crazy/bussy/funny day at DevFest 2013 to release Location Notifier powered by Foursquare at Google Play. After the feedback I decided to push the application to next level. To make the notifications as easy as possible with all the necessary options, but not more. After few months of hard work, I'm publishing new version into Google Play. Location Notifier makes even more sense now: I got Foursquare to find new places around, Swarm to find my friends and to make plans of where to go with them and I also have Location Notifier to never miss a venue from my to-do list or interesting place from friend's list. Are you still asking what is the app for? This app reads your saved foursquare lists (including your to-do) and once you are near one of them, it will notify you about it. You won't miss an interesting venue anymore! 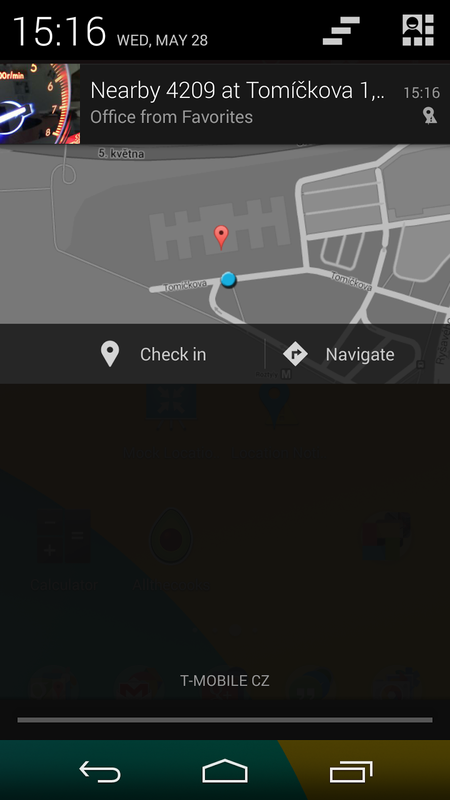 Rich notifications in status bar with venue location on a map and action buttons: check-in and navigate to venue. Mirror API is supported to send the notification to Google Glass. Glasquare is supported - you can open venue details and see Tips or Check-in right from Google Glass. Still not enough? Here is a video. Don't forget to give your feedback here or on Google Play.